The human body is programmed to go to sleep when it gets dark and to wake when the sun comes up. But thanks to ever-present artificial lighting both inside and outside the home, our bodies can easily be thrown off of this rhythm. Unless you have a butler who comes in to open your blinds for you every morning, it can be hard to block the light out at night and let it in in the morning. 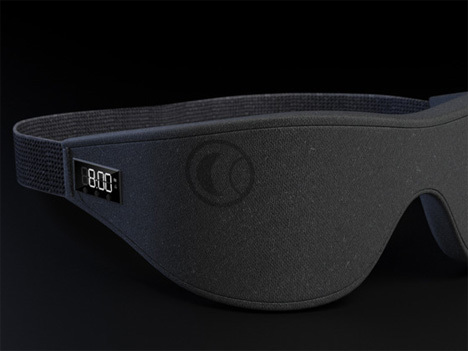 The LUMI Sleepmask is an innovative sleep mask that restores the body’s natural rhythm with a simulated sunrise. Before going to sleep, you input the time you would like to wake up. 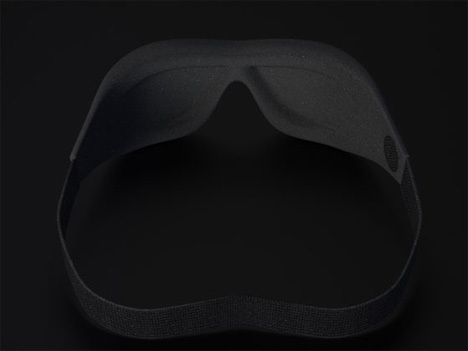 Then you put the LUMI on; its neoprene construction and molded eye cavities mean that you can still move your eyes and blink normally, but all light will be blocked. 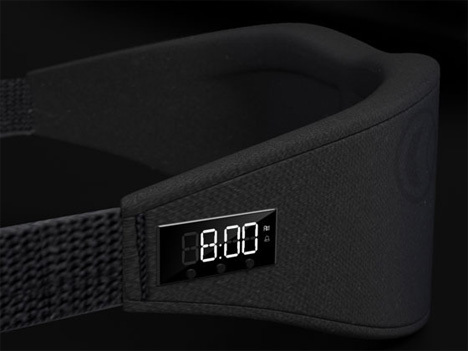 Thirty minutes before your pre-set wake time, the small LED screens inside the mask begin to simulate a sunrise. The light slowly increases, allowing you to wake naturally. You can adjust the light intensity according to how much light you need to wake you up – and you can always set an audible alarm as a back-up just in case you manage to sleep through the simulated sunrise. See more in Clocks & Watches or under Gadgets. August, 2011.